and that will give dream to you. Your dream is to catch Ho-Oh. If there are bugs, post a comment. Remember like my Facebook page. I'd like to see more too. 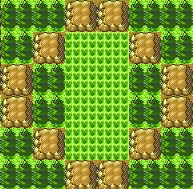 -when you go to the blackthorn gym and go back from there, you will wrap to enterance of ice path. ok, i waited about 15 seconds but i try 2mins. I can't go anywhere after Blackthorn badge, I tried every path possible and talked to everybody. Am I missing something? You said the beta ends in Ekruteak. Unless I'm missing something this place won't be seen from anywhere in the game. you need to buy cut from market. So is this actually canceled, or are you still working on it? I know the first post says it is canceled, but you seem to still be accepting bug reports and fixing them and things. Just curious. And i had an idea like i just edit those other trainers what i didn't edit. that one dosen't have bugs what i got, so it's beta 2.1, if i remember.